Even with the soaring popularity of exchange-traded funds, mutual funds, for now at least, remain the dominant force in the fund universe. At the end of 2017, mutual funds outnumbered ETFs on a roughly 4-to-1 basis. Of the $22.5 trillion allocated to U.S.-registered investment company vehicles, $18.7 trillion went to mutual funds, while $3.4 trillion was devoted to exchange-trade funds at the end of 2017, according to the Investment Company Institute (ICI). Fees on actively managed funds are declining but still have a long way to go to catch up to passively managed equivalents, such as ETFs and index funds. “The asset-weighted average expense ratio for active funds fell to 0.72% in 2017 from 0.75% in 2016. This 4% decline was the largest annual percentage decrease in over a decade and was driven mainly by large net flows from expensive funds to cheaper funds, and secondarily by fee reductions,” said Morningstar. Like any other asset class, mutual funds have advantages and drawbacks. Here are some to consider. One of the primary reasons mutual funds have been popular with investors over the years is diversification. For example, the Vanguard Total Stock Market Index Fund Investor Shares (MUTF:VTSMX), a passively managed index fund, holds a staggering 3,654 stocks across the large-, mid- and small-cap segments. Sure, VTSMX is just one example, but it speaks to investors’ thirst for diversification with mutual funds. Across its various share classes, the Vanguard fund had nearly $726 billion in assets under management at the end of July. Aside from owning broad-market mutual funds, investors can access mutual funds focusing on specific investment factors, such as growth, low volatility and value. That is useful because even professional investors have difficulty pinning down when certain investment factors will be in and out of favor. The bread and butter of many fund issuers is domestic large-cap stocks, but mutual funds allow investors to access myriad asset classes, helping enhance portfolio diversification in the process. Not only do mutual funds offer exposure to mid- and small-cap stocks, but mutual funds can take investors to international markets, including emerging markets. In the fixed-income space, many of the most popular mutual funds are aggregate funds, the fixed-income equivalent of a total market equity fund. However, there are scores of mutual funds offering exposure to higher-income opportunities in the bond world, including corporate bonds, emerging markets debt, junk bonds, municipal bonds and senior loans, among others. As was noted earlier, actively managed mutual funds carry higher expense ratios than passive index funds and ETFs, but annual fees are not the only cost consideration for investors considering active mutual funds. Many mutual fund issuers require minimum investments, up-front loads, and, of course, commissions to buy and sell the funds. Investment minimums could start going by the wayside. Recently, mutual fund giant Fidelity said it is doing away with investment minimums on its funds. “In addition to offering the industry’s first self-indexed mutual funds with a zero expense ratio, Fidelity is reducing the pricing on its existing stock and bond index mutual funds,” said Fidelity in a statement. This usually is not an issue for buy-and-hold investors, but mutual funds are priced just once a day at their net asset value as of the market close. In other words, it does not matter if you buy or sell a mutual fund at 10 a.m. or 2 p.m.; the price you get will be the same. On the other hand, ETFs transact all day, just like stocks. 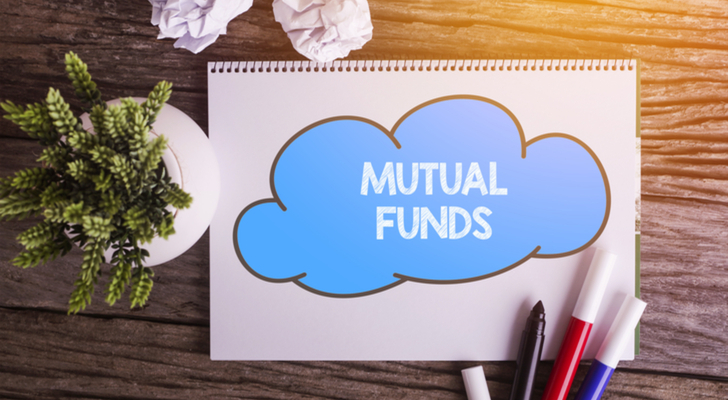 Mutual funds are often thought to be tax-efficient vehicles, but it depends on what type of mutual funds are being discussed. Passively managed ETFs and index funds are, in most cases, tax efficient. Actively managed funds, however, do risk exposing investors to some taxable events. When a manager of an active mutual fund elects to sell part or all of a winning position, the tax burden on those profits are passed along to the fund’s shareholders. In many cases, mutual funds distribute 100% of income and capital gains each and every year. Such events are rare in the world of passive index funds and ETFs. “Because a mutual fund is a pass-through entity, the shareholder is liable for any tax due on these distributions. This is why an investor should never invest in a mutual fund just prior to a capital gains distribution, which typically occurs in December,” according to ThinkAdvisor. Article printed from InvestorPlace Media, https://investorplace.com/2018/08/the-pros-and-cons-of-investing-in-mutual-funds/.